to achieve a level of artistic excellence necessary to perform in a variety of settings. 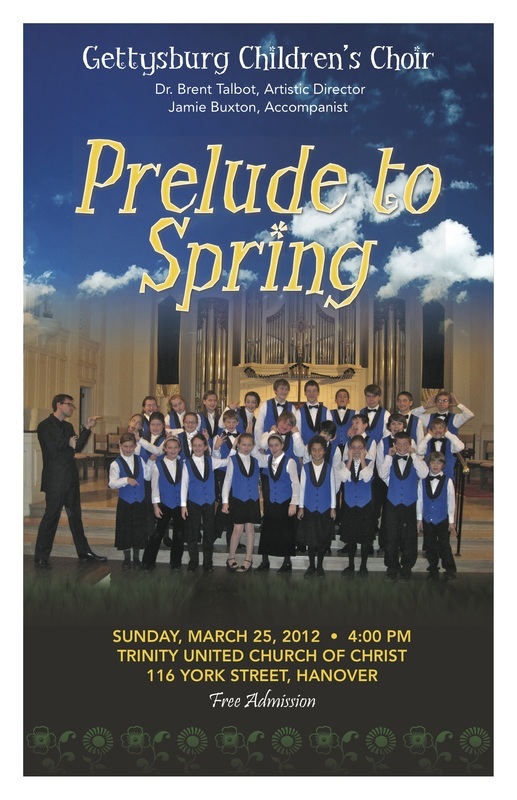 to serve as a model for diverse and quality choral literature and vocal training in the field of children's choral music. Prelude to Spring! Trinity Lutheran Church--Arendtsville, PA. April 7, 2019. Martin Luther King Celebration. Gettysburg College Chapel--Gettysburg, PA. January 21, 2019. Prelude to Spring! Fine Arts at First Carlisle--Carlisle, PA. April 22, 2018. Martin Luther King Celebration. Gettysburg College Chapel--Gettysburg, PA. January 22, 2018. Winter Light Gettysburg Methodist Church--Gettysburg, PA. December 3, 2017. Prelude to Spring! Chambersburg Church of the Brethren--Chambersburg, PA. April 2, 2017. Martin Luther King Celebration. Gettysburg College Chapel--Gettysburg, PA. January 23, 2017. Winter Light Gettysburg Methodist Church--Gettysburg, PA. December 3, 2016. Prelude to Spring! 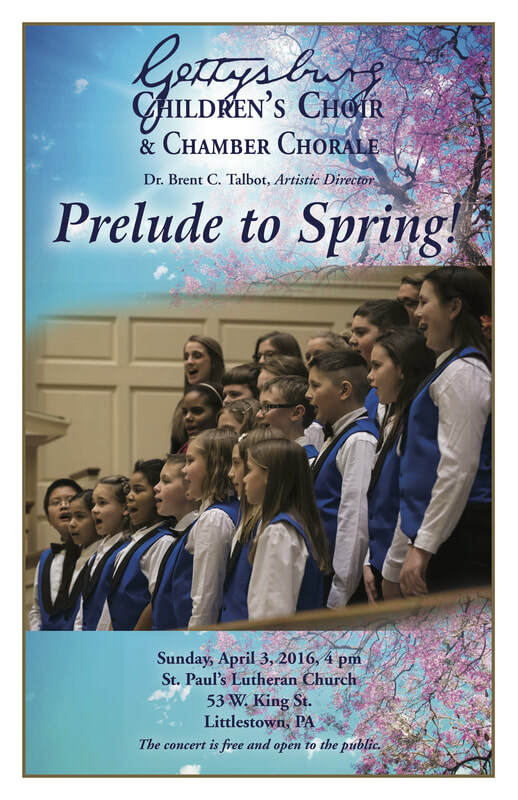 St. Paul's Lutheran Church--Littlestown, PA. April 3, 2016. Martin Luther King Celebration. Gettysburg College Chapel--Gettysburg, PA. January 18, 2016. Gettysburg, PA. December 5, 2015. 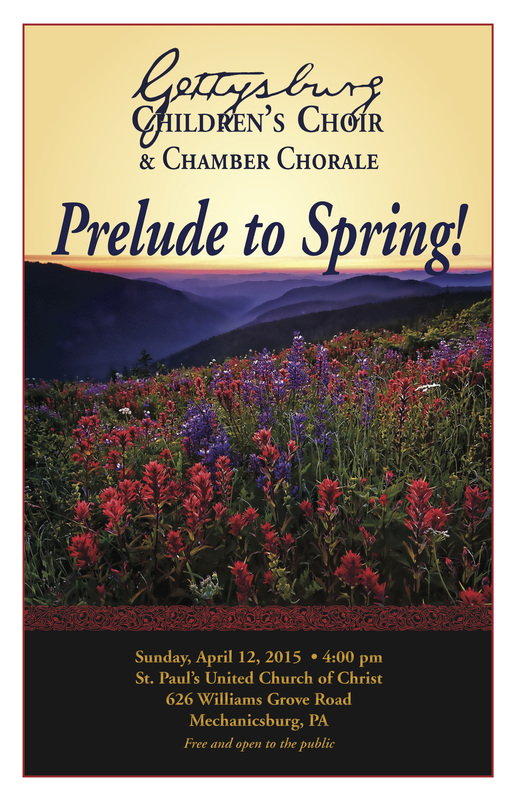 Sing Into Spring! Gettysburg Area Middle School Auditorium--Gettysburg, PA. April 26, 2015. Prelude to Spring! Mechanicsburg Lutheran Church--Mechanicsburg, PA. April 12, 2015. Remembrance Day Celebration. 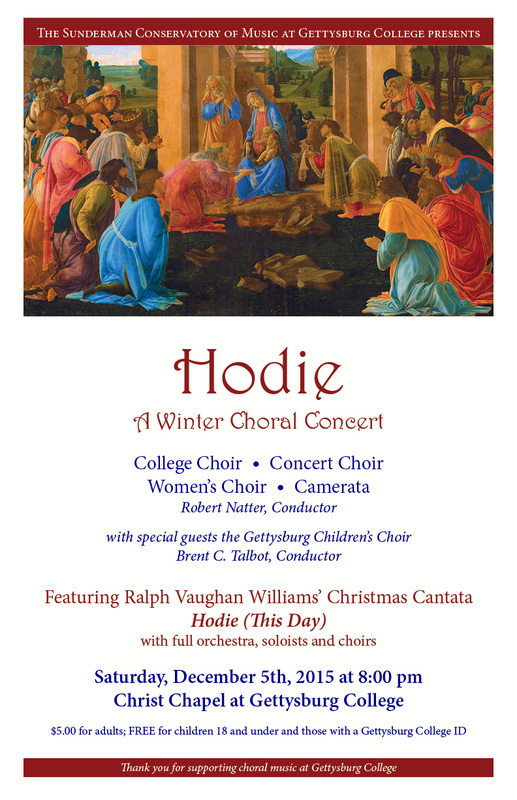 Prince of Peace Episcopal Church--Gettysburg, PA. November 17, 2013. Prelude to Spring! Trinity Evangelical Lutheran Church--Taneytown, MD. March 23, 2013. A Christmas Offering from “Music, Gettysburg!” Gettysburg Lutheran Theological Seminary Chapel-- Gettysburg, PA. December 16, 2012. Adams County Arts Council First Friday Series. 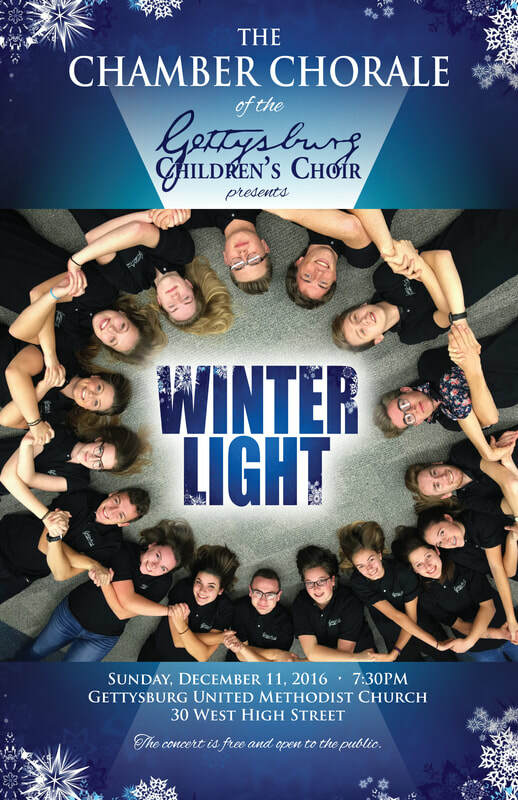 Gettysburg Children’s Choir High School Vocal Ensemble. Adams County Arts Council Education Center--Gettysburg, PA. December 7, 2012. 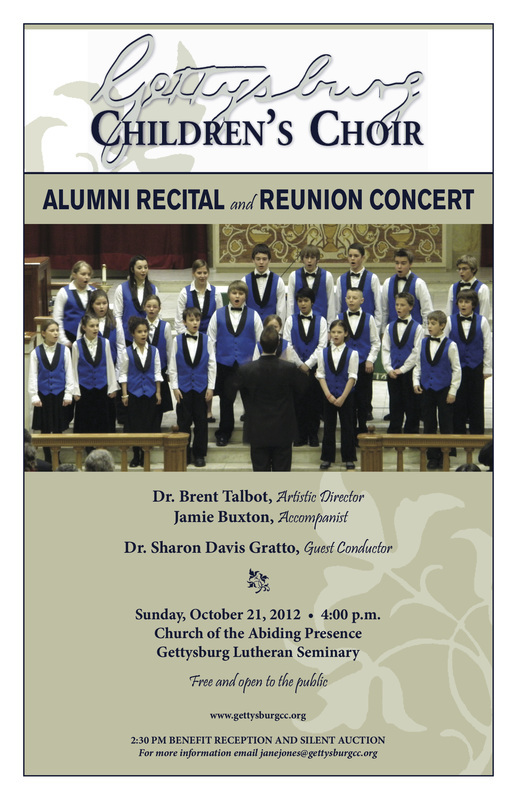 Alumni Recital & Reunion Concert. 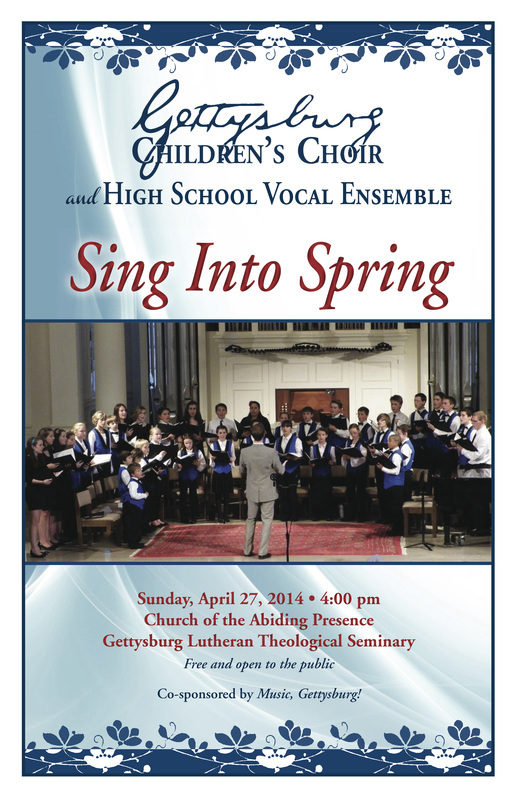 Gettysburg Children's Choir & High School Vocal Ensemble. Gettysburg Lutheran Theological Seminary Chapel--Gettysburg, PA. October 21, 2012. 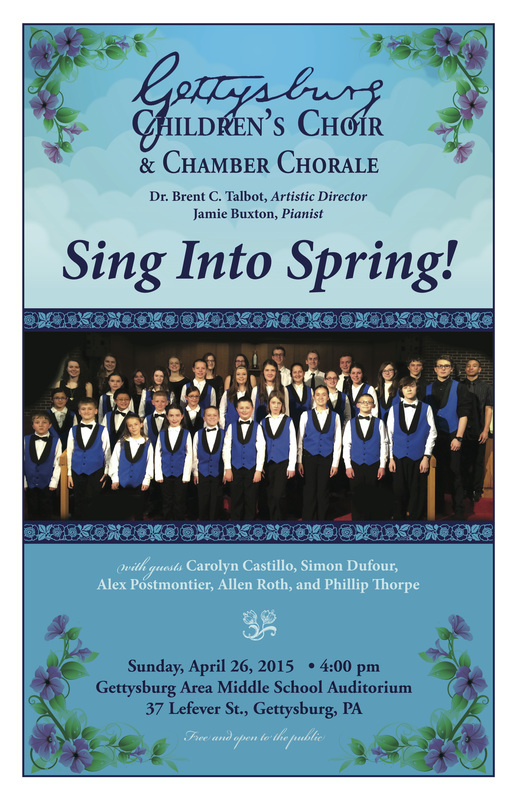 Sing Into Spring! 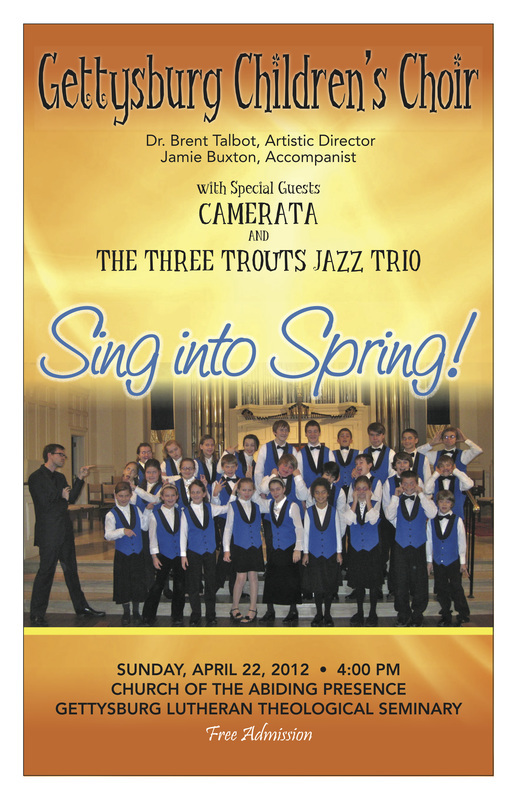 A Musical Offering from “Music, Gettysburg!” Gettysburg Children's Choir, High School Vocal Ensemble, Camerata, & Three Trouts Jazz Trio. Gettysburg Lutheran Theological Seminary Chapel-- Gettysburg, PA. April 22, 2012. Martin Luther King Celebration. Gettysburg College Chapel--Gettysburg, PA. January 23, 2012. Make Way for Mary’s Child: A Christmas Offering from “Music, Gettysburg!” Gettysburg Lutheran Theological Seminary Chapel-- Gettysburg, PA. December 18, 2011. “Let It Begin With Me”: A Discussion Series on Building Inclusive Communities 2nd Annual Symposium. Interfaith Center for Peace and Justice and the Social Outreach Committee of the Gettysburg Lutheran Theological Seminary Student Association--Gettysburg, PA. March 5, 2011. Treasures & Traditions from Europe: A Christmas Offering from “Music, Gettysburg!” Gettysburg Lutheran Theological Seminary Chapel--Gettysburg, PA. December 19, 2010. 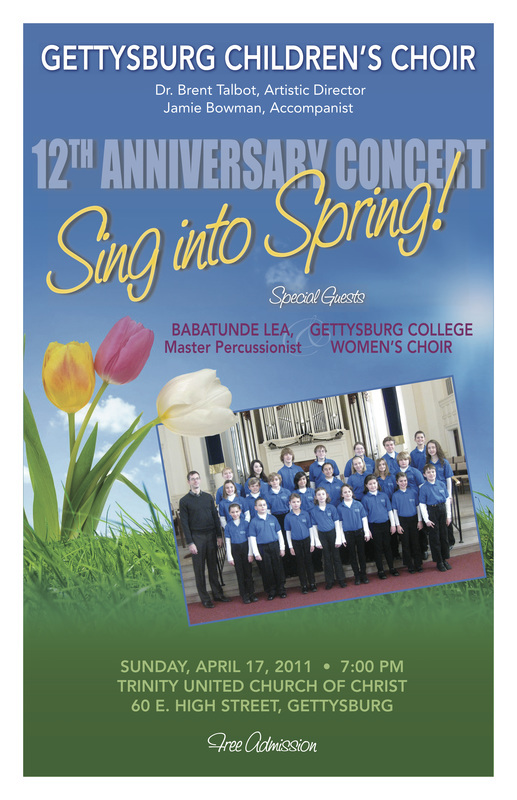 This video is from our MLK Celebration concert at Gettysburg College. Where we sing the original lyrics of "This Land Is Your Land" arranged by Stephen Feigenbaum.